Thursday, Jul 19, 2018, 12 – 1 p.m. 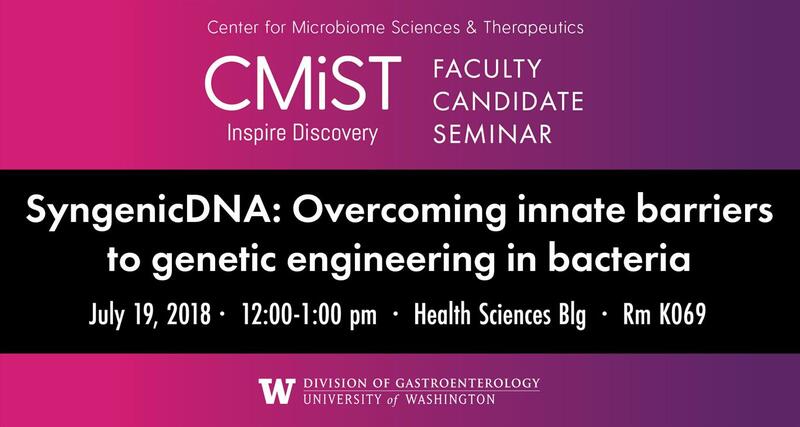 Please join us for a faculty candidate seminar next week! Bacteria that cause inflammation and disease within the mouth are increasingly being found in association with extra-oral infections and systemic disease. Christopher Johnston is interested in the virulence mechanisms of bacterial species and determining how bacteria from the mouth establish themselves at other sites in the body to cause inflammation and disease. “The sooner you identify and understand the underlying mechanisms used by these pathogens, the sooner you can design and create targeted therapeutic interventions to prevent disease” says Johnston.